The Meccano Magazine for June 1939, announced the arrival of six new models in a new 39 series of American sedans and coupes, with them being available the following month. 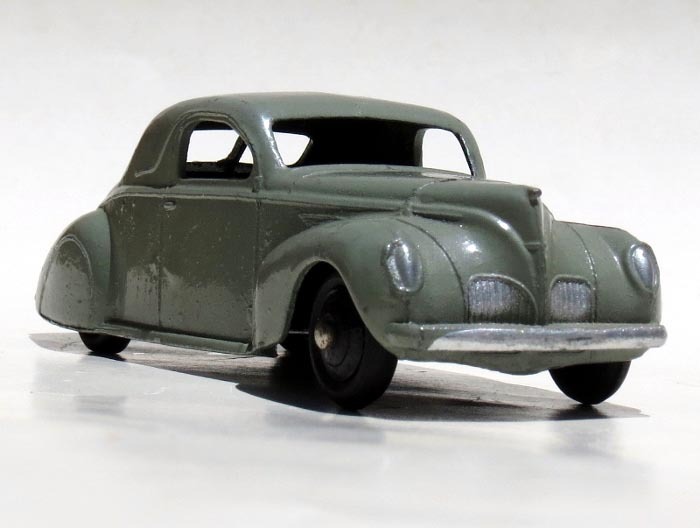 With the Lincoln Zephyr Coupe, Meccano almost got the design of the model right, with the exception of the shape of the grille, the design of the bumper including no over-riders, and the design of the doors and their windows but considering the working drawings were carried out mainly from photographs, and the time between the launch of the 1939 prototype towards the end of 1938 and the release of the Dinky Toys model in July 1939, I think Meccano did a reasonably good job of all six models, and in particular, the Lincoln Zephyr Coupe! But of course I will be open to criticism. There has been some discussion on the "Matching Pictures" thread in regard to the year model I have selected for the prototype photograph above. The shape of the grille for the 39c is definitely wrong; it is too small and lacks the appropriate upper design. In that regard the 39c is neither a 1938 or 1939 model. In viewing the above photographs, the one on the left is the 1938 model. Note the bars of the grille are HORIZONTAL. On the right is the 1939 model. Note the bars on the grille are VERTICAL. 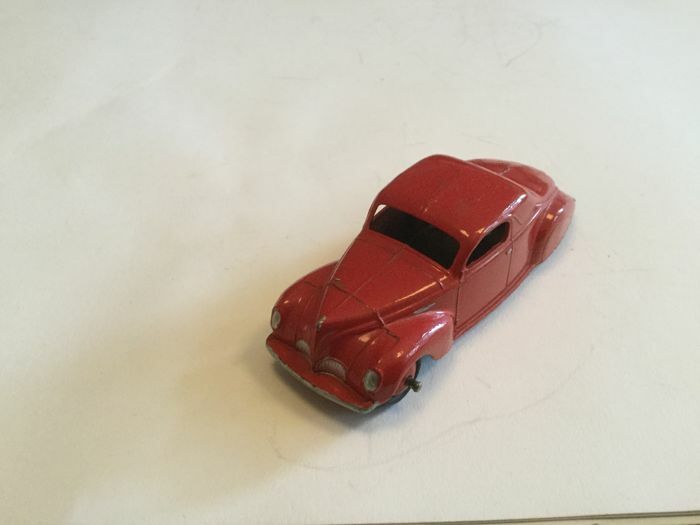 However, the design of the bumper bar for the 1938 model is more in keeping with the Dinky model, except in my search for photographs showing the grille, I came across many variations; with two over-riders, three over-riders, central lower bend, etc. Letâ€™s look at the 39c. Disregarding the SHAPE of the grille, look at the bars. Dinky has cast them VERTICAL. So what does that say. Meccano wanted the model to be a 1939 model. But what about the shape of the grille? Meccano were probably not fussed with the difference in the size of the grille â€“ they were interested in meeting a deadline for the release of all the cars in the 39 series by July 1939 so rather than spending considerable time in altering the shape of the grille, Meccano opted to just have the bars cast vertically which if anything, brings the model closer to the real 1939 model. 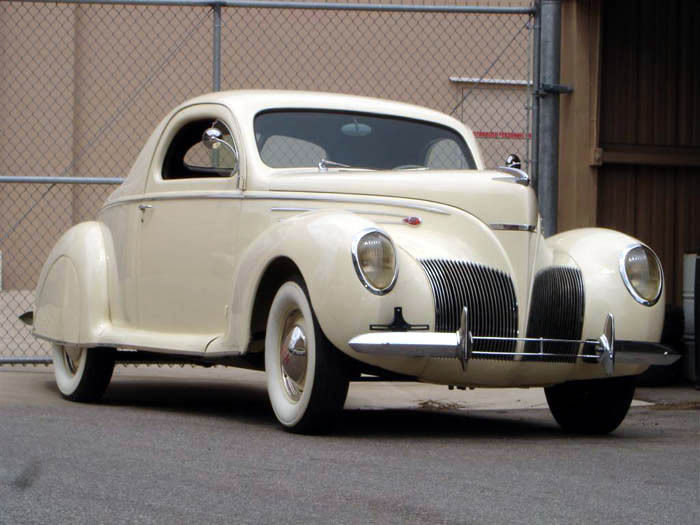 As the bars of the Lincoln are concerned, it is remarkable that the initial proposition, a Lincoln Zephyr Sedan of 1938, had the horizontal bars in front. This bare wooden mock-up did survive, but the one for the definitive production of the coupe isn't known, as far as I am aware. Thanks Jan - I am still working on this Thread and was hoping to keep it "clean". I appreciated your post though, but Terry, wish you had waited, although Jan's post could have been on the Thread dealing with mock-ups etc! But a happy new year to you both.